The wedding chapel is part of Villa Escamp, a temporary city hall for the Escamp district in The Hague. 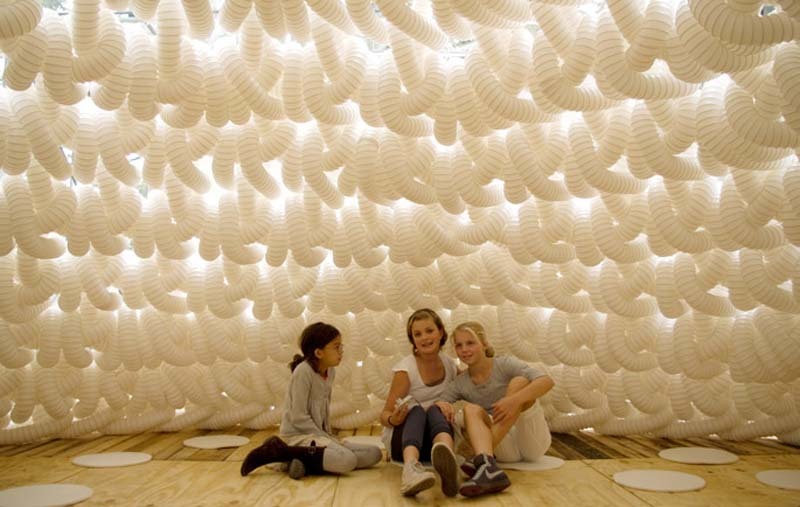 The 6-meter long and 3-meter high dome, designed by DUS Architects in Amsterdam, was crocheted using two kilometers of flexible white ventilation tubes creating a peaceful atmosphere with soft acoustics and lighting. It can accommodate up to 50 people and, yes, people can actually marry there. This entry was posted in Architecture, Fun, Interaction Design, Just Plain Cool, Stuff We Like. Bookmark the permalink.